The unassuming turnoff to the Waterkloof Wine Farm just outside Somerset West is deceiving. Rustic stables and a dust road quickly give way to a winding tarred road that many car lovers could easily mistake for one of the most scenic race tracks in the world. Arriving in an Astin Martin Vantage would be suitable. Be careful though, the farm manager will quickly arrest you for speeding as the farm animals roam around freely here and you don’t want your horse power to collide with a real horse around the next corner. Especially since you would then be late for your dinner with a view. 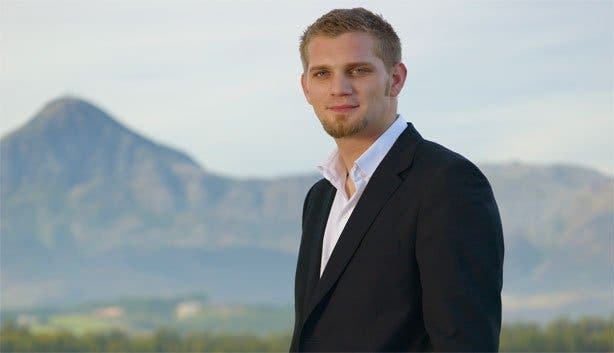 There are some pleasant surprises after you cross the real entrance into Waterkloof Wine Farm and it’s not only discovering some of South Africa’s best wines or the South African inspired French cuisine at the fine dining restaurant on this wine farm. An imposing glass building suddenly reveals itself on the slopes of the Schaapenberg. The modern architecture contrasts with the local fynbos and the vineyards. 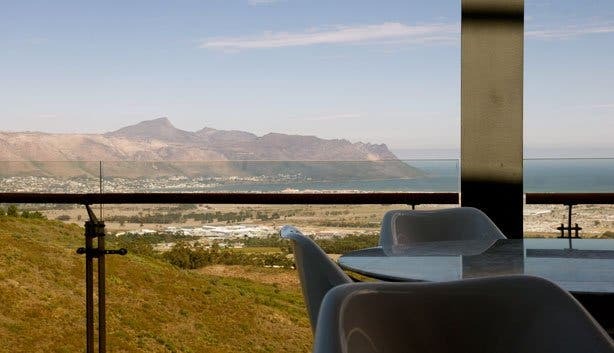 When we get to the top we gasp at the view of the vines, the mountain and the sea – truly amongst the best of all restaurant views in South Africa. 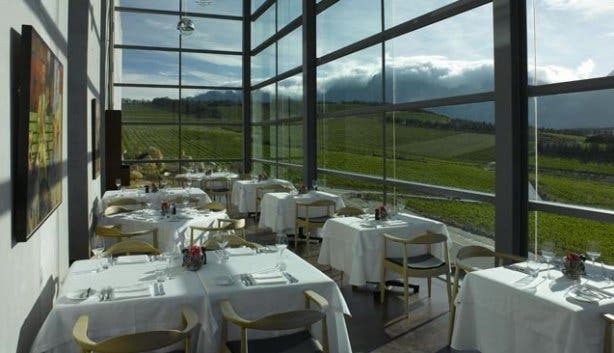 Waterkloof’s impressive automatic sliding glass doors make for a grand entrance into the restaurant. The well trained and immaculate waiters accompany us past a magnificent 360 degree fire place to a perfectly laid table, all crisp white table cloths and Morgenster olive oil. It’s as though we are sitting inside a grand glass box where the vines, the ocean and the sky are displayed alongside artistic works from the Everard Read Gallery. The interior is all earthy colours and Frank Bohm designs. Handmade spinned copper dish lights are hanging from the ceiling. Frank also designed the fireplace which provides a modern and elegant warmth that makes for a mesmerising centrepiece, probably even more so at night or if the winter rain blurs out the sweeping view. 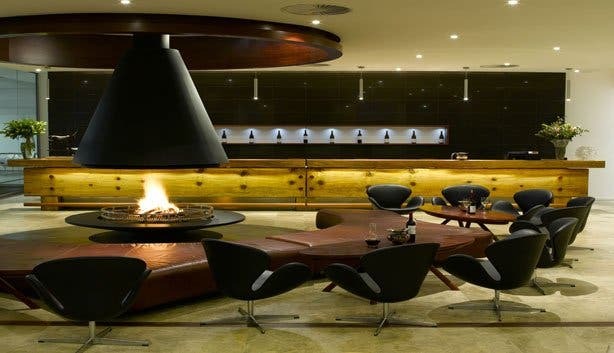 Black leather chairs around the fireplace offer the chance to sit down and taste some wine before dinner or have a couple more sips of your Waterkloof Shiraz afterwards. Our waiter’s name is Jack Black which further adds to the slightly unreal feeling of being a celebrity on an epic movie set restaurant. This hasn’t been referred to as a James Bond estate for nothing. Starters like the oyster mushroom can be paired with Waterkloof Viognier; a combination likely not to be forgotten anytime soon. It arrives in a stylish Venetian porcelain plate with a bird’s nest of crisp wisps with egg inside. Alternatives such as the Parma ham risotto has a flawless creamy texture which comes absolutely recommended. For restaurant lovers who like a bit of comfort food when there’s a chill in the air, there’s always some pork belly. The restaurant’s French chef Gregory Czarnecki slow cooks his version in duck fat for ten hours and then serves an elegant slice on a plate decorated with fresh figs, balls of cooked beetroot and pretty greens. Picture perfect. Which is no wonder as he was trained under Alain Senderens, a Michelin starred chef, in Paris. 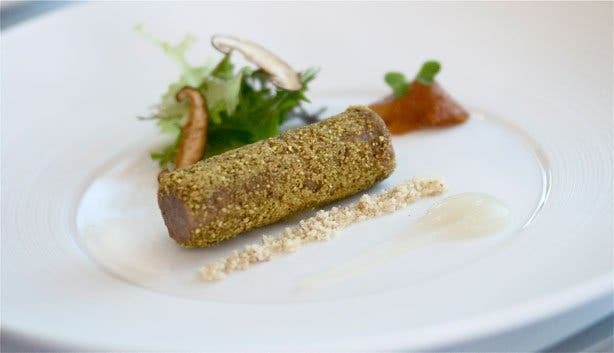 He might just make you give in to the temptation of trying the Springbok loin which is melt-in-your-mouth tender and impeccably presented. Love (not only for food but also for a certain Afrikaans girl from Saldanha) brought chef Gregory to South Africa and he soon started playing around with local flavours, fusing his disciplined culinary background with traditional South African influences and using only local ingredients while staying true to the French principles of cooking. 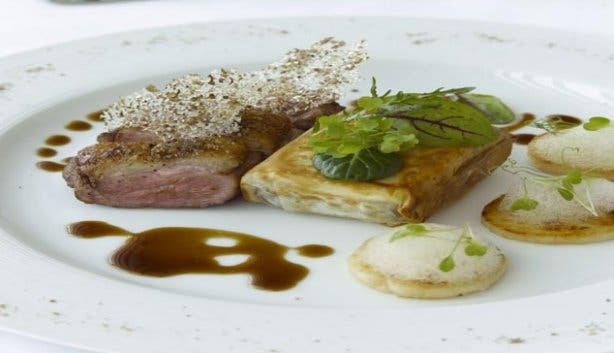 The restaurant at Waterkloof is a definite plus for the fine dining culture in South Africa – and same as us the Somerset-West locals are already sold on the integrity of the food and the estate as a whole. “There must be emotion when you eat,” says Gregory, who decided that he wanted to be a chef when he was only six years old - and the passion seamlessly translates into dining at its finest. The view of the entire False Bay is a gorgeous backdrop to the South African flavours, French principles of cooking and a host of world class wines. The private dining room upstairs is in its own little glass box meaning guests can be on display as much as the Italian Luxy chairs and the crystal chandeliers. The restaurant as a whole could seat around 120 people and also caters for special functions. Waterkloof Wine Farm produces their own spring water on the farm and serves it for free with the gourmet meal. There’s a choice between sparkling and still. Expect to pay around R250 to R300 per person for three courses excluding wine. 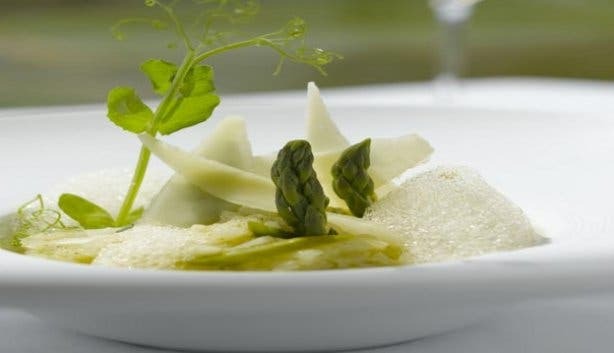 Since it’s a fine dining restaurant the idea is actually having three courses as they are meant to complement each other and make sure you are satiated. Wines are around R73 – R250 per bottle. Considering that this is one of the finer experiences you will ever have in such a breathtaking setting, this is still good value for a special dinner, business celebration or private occasion. 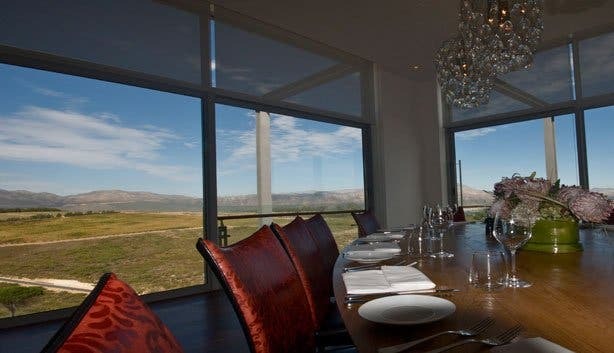 There’s a good chance you will be remembered and revered by the guests you invite to the restaurant at Waterkloof Wine Farm. And thoroughly moved by the setting and the cuisine itself. For more about Cape Town’s abundant offering of fantastic restaurants, visit our Eating Out section.